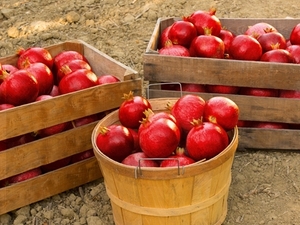 Pomegranates – have always been tempted to buy them off the wooden fruit vendor handcarts at street markets in Mumbai. Growing up my mum would keep me engaged in her kitchen by assigning me the important job of peeling the fruit and collecting the shiny ruby red juicy insides in a clean bowl – waiting to be sprinkled over her many creations. In supermarkets shelves here in London, it reminds me of home and I cannot resist buying the peeled ones for salads but making pomeo juice at home has always resulted in a rather messy end result. Now highly coveted as a highly nutritious super food, packed with antioxidant vitamins C and K, minerals, antioxidants, and other unique plant phytochemicals – pomegranates are firmly a delicious part of our modern day diet. 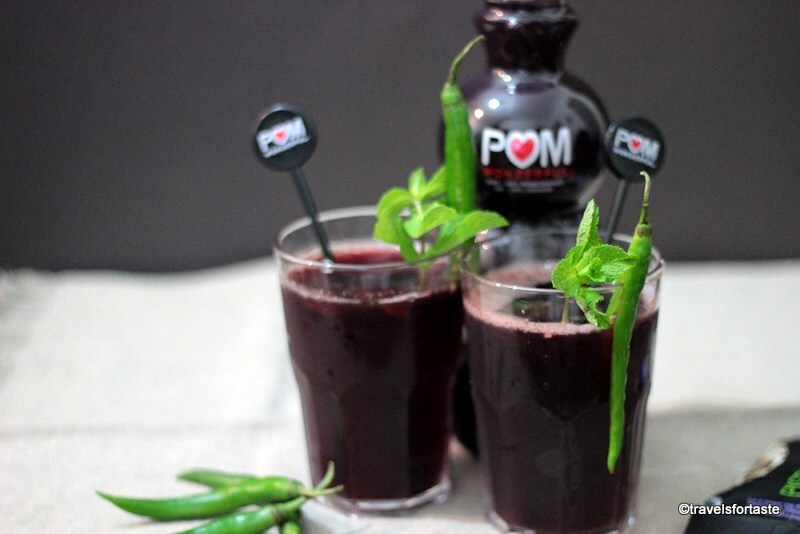 POM Wonderful sent me a cute cocktail kit and I came up with this recipe for a warming cocktail with a kick of chilli :). My complimentary kit contains a cocktail shaker, measuring beaker, 2 cocktail glasses, cocktail muddler, 2 stirrers, ice-cube maker and bag of Wonderful pistachios. Ice cubes – I loved adding the cute heart shaped ice cubes made in the complimentary ice-cube maker sent to me as part of my cocktail kit. 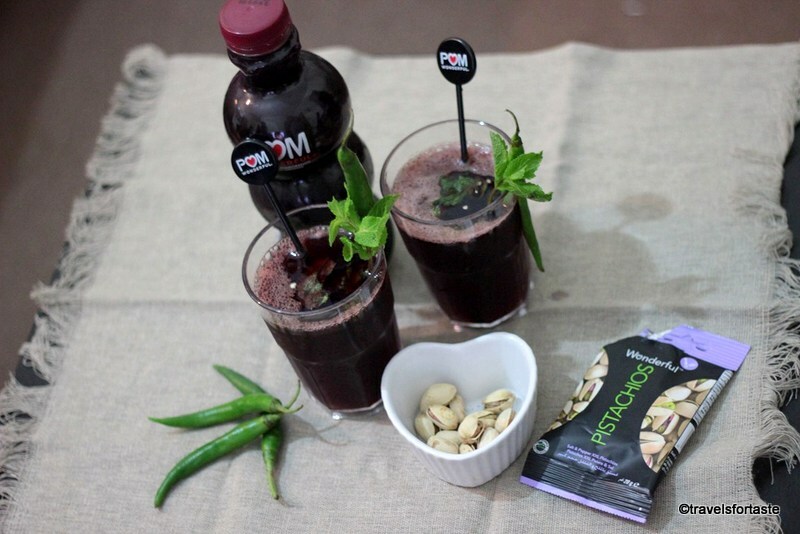 Shake all ingredients together in a cocktail shaker and add a few of the chilli seeds from the split green chilli. TOP TIP from me: Chill the washed and dried cocktail glasses in the freezer for about 20 minutes before serving – the frozen glaze on the glass will look beautiful and the cocktail will stay cooler for longer allowing you to sip and enjoy your drink longer. 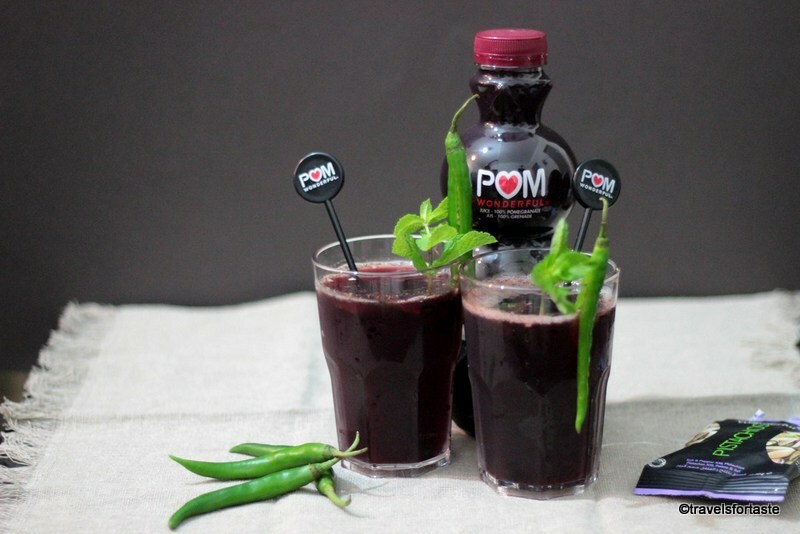 POM Wonderful have agreed to give 3 of my lucky readers one POM Wonderful Cocktail Kit each. Each kit will contain a cocktail shaker, measuring beaker, 2 cocktail glasses, cocktail muddler, 2 stirrers, ice-cube maker and bag of Wonderful pistachios. STEP 2: Like my Facebook page – sliceoffme and leave your facebook name as part of you comment. I will be verifying entries ,please ensure that you follow all of the of the above 4 steps , any step missed and you will be disqualified. All the steps are mandatory! 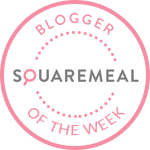 Please have a read through the T&C’s – will take just a teeny weeny minute ! 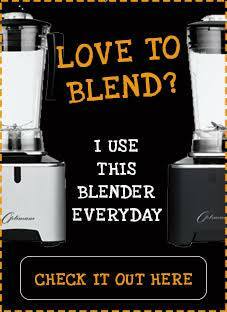 Deadline for entering this contest is 30th November ‘2014 midnight GMT. Entry is open only to residents of the U.K and all entrants must be 18’s old and above. THREE lucky winners will be chosen using random number generator. The giveaway prize is as mentioned in the post and will be sent directly as a free delivery to the winner by POM Wonderful and I, Manjiri, accept no responsibility for any disputes. Please allow a minimum of 28 days for delivery of the prize, which may reach earlier or later and is the sole responsibility of POM. I retain the right to DISQUALIFY any entrant who do not complete all the 4 steps mentioned above. The winner will be notified within 15 days of the closing date via the email id provided by the entrant .Winners names will be announced on this blog post and by me via Twitter. If you are declared as the winner you agree and allow me to pass on your email id to POM , and agree and allow POM and me to contact you to notify you in case you win. If the THREE winners fail to respond within 15 days then other winners will be chosen. 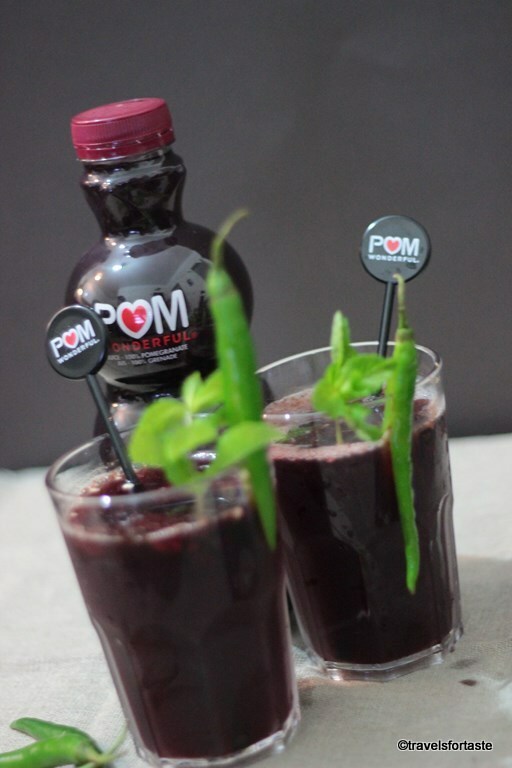 *With thanks to POM for sending me a complimentary POM wonderful Cocktail kit and vouchers to buy POM wonderful juice. No monetary compensation was offered for a positive review. As always all opinions expressed here are entirely my own. 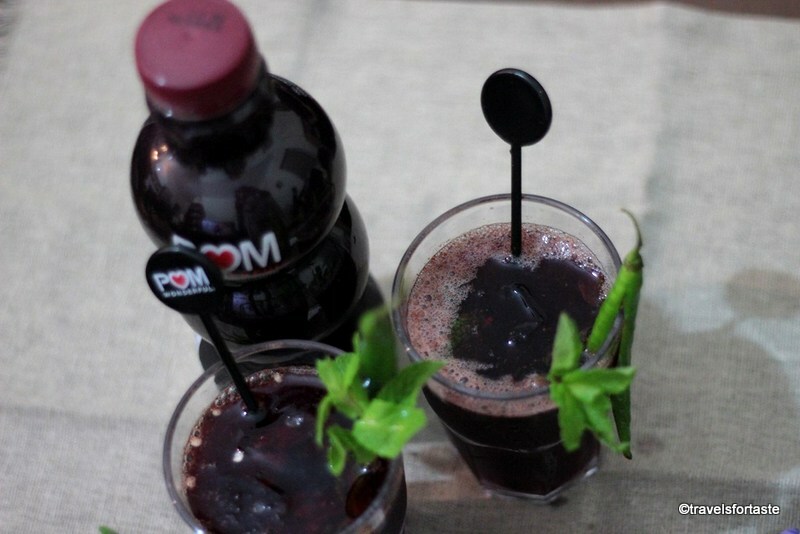 All images courtesy POM except one watermarked ‘travelsfortaste’. amazing prize! My fav cocktail is Mojitos!! 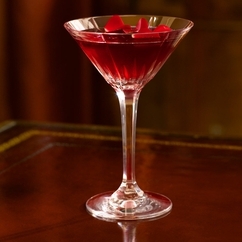 Love cocktails! My favourite it a Kir Royale! 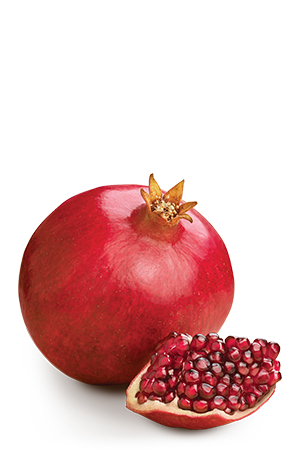 I love pomegranates, but I usually end up getting it all over when I try to eat them. I’ve seen this juice at the supermarket but it’s always quote expensive. Looks delish Manjiri. Fab prize too. Never tried their juice before but I bet is super delish! Great giveaway! Ooooh! I really must try this very soon. Thanks! Oops. Forgot to say that my Instagram handle is @amyjosnaps! Congratulations! 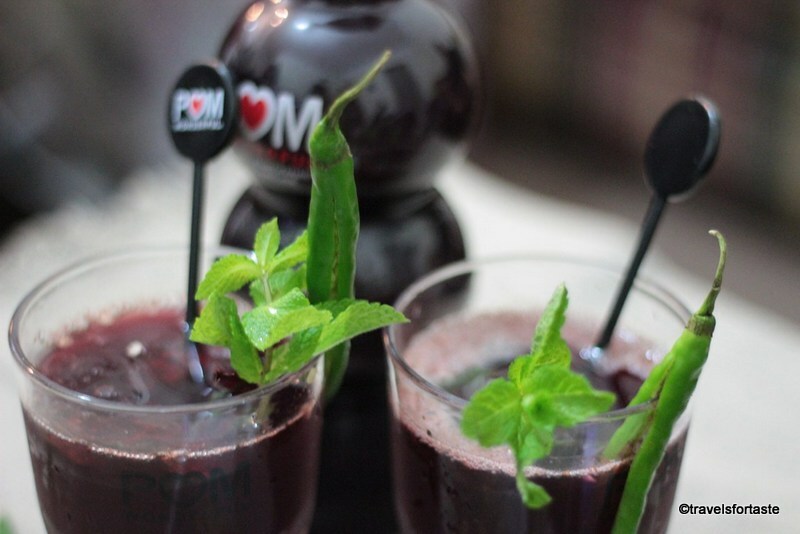 you have just won a @pomwondeful #COCKTAILKIT with #sliceoffme blog , please email me at fruitsnveg@yahoo.com, Thanks for participating! My favourite cocktail? A snowball! Perfect at Christmas. I like Baileys over ice.